They join with Democrats to raise taxes in the wake of Gov. 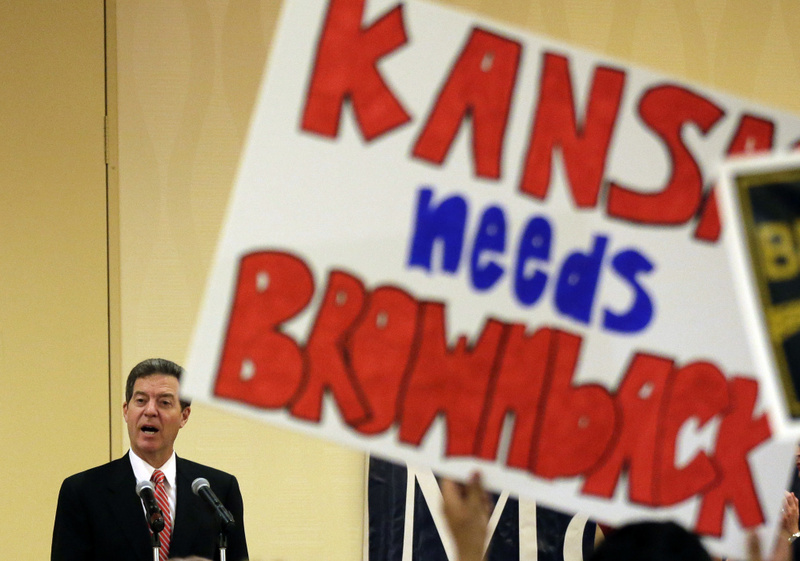 Sam Brownback's failed tea-party policies. OVERLAND PARK, Kan. —Kansas was at the heart of the tea-party revolution, a red state where, six years ago, a deeply conservative group of Republicans took the state for a hard right turn. Now, after their policies failed to produce the results that Republican politicians promised, the state has become host to another revolution: a resurgence of moderate Republicans. Moderate Republicans joined with Democrats this week to raise state taxes, overriding Republican Gov. 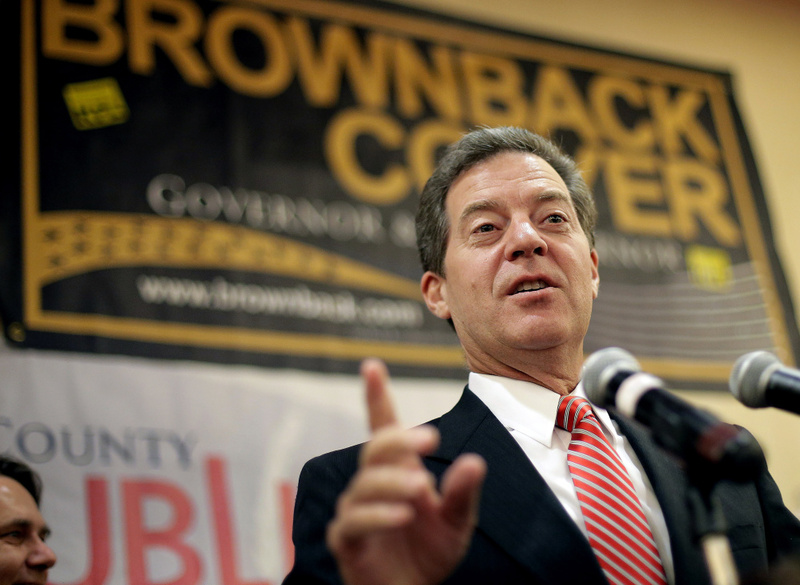 Sam Brownback’s veto and repudiating the conservative governor’s platform of ongoing tax cuts. The vote was a demonstration of the moderates’ newfound clout in the state Republican Party. Brownback was unable to successfully block the bill because many die-hard proponents of the tax cut had either retired or been voted out of office, losing to more centrist candidates in Republican primaries. “The citizens of Kansas have said ‘It’s not working. We don’t like it.’ And they’ve elected new people,” said Sheila Frahm, a centrist Republican who served as lieutenant governor of Kansas and briefly as a U.S. senator. Kansas’ moderate ascendancies may portend problems for Republicans in Washington, where many in the party, including President Trump, are pushing to adopt federal tax policies similar to the ones Brownback has installed in Kansas. But while Brownback had hoped what he called Kansas’ “real-live experiment” in conservative economic policy would become a national model, it has instead become a cautionary example. Brownback and his promised tax cuts would spur enough economic growth to keep the government well funded, but when that economic boom never materialized, state lawmakers faced perennial deficits and had to implement spending reductions to close the gap. And when they did, some lawmakers found that while promises to cut spending play well in a campaign, actually taking away the public services that spending pays for often proves far more unpopular. Kris Kobach, Brownback’s secretary of state, who was once thought likely to join the Trump administration, entered the contest this week and is decrying the new tax increase. “It is time to drain the swamp in Topeka,” he wrote on Twitter on Wednesday, borrowing a phrase from Trump. The state’s deep spending cuts to schools and programs aimed at helping the poor have been especially controversial. Michael Speer, a schools superintendent and business manager in Coffeyville – a town near Kansas’ border with Oklahoma – says he previously voted for Brownback, but is now troubled by the changes forced on his profession. The gubernatorial primary will involve competition for voters like Judith Deely. A registered Republican who lives in the Kansas City suburb of Overland Park, Deely said that she was never very interested in politics until she and parents at their local public school started to notice a shift. The school increased its class sizes and scaled back gifted education. Teachers, worried about their wages and future, began fleeing the school system in Kansas City, Kan., for jobs across the state line in Missouri. Now she is an avid opponent of Brownback’s tax cuts. Meanwhile, Brownback’s remaining supporters have been quick to lambaste moderate Kansas Republicans for enacting what they have termed the largest tax increase in state history. Trump has also proposed slashing taxes for small businesses. Brownback exempted small-business income from taxation entirely, opening what analysts described as a loophole in which individuals represented themselves as small businesses to qualify for the tax break. The tax cuts for the wealthy frequently advocated by Republican politicians are viewed unfavorably by many voters, polls show. The Public Religion Research Institute, a nonpartisan group that conducts public-opinion surveys, found that 57 percent of Americans nationally, including more than a third of Republicans, support increasing taxes on those earning at least $250,000 a year. By contrast, Brownback’s policies reduced them drastically.